EK® was always dedicated to providing overclocking enthusiasts and PC builders with the best of what the market can offer. Anyone who was reading the reviews is aware that this was not entirely true for the EK-Supremacy EVO Threadripper Edition CPU water block. This was a result of an oversight from our side almost a year ago. 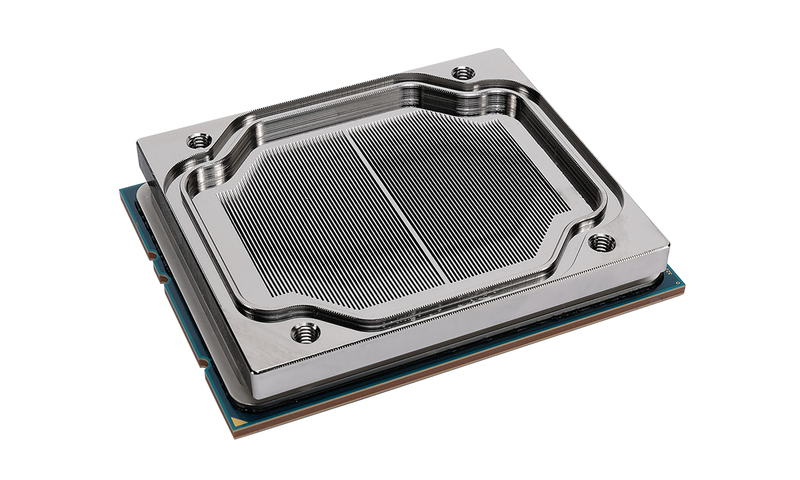 The performance of EK-Supremacy EVO Threadripper Edition CPU water block and the X399 monoblocks, which are based on the same cold plate design, are not up to EK® standards so action had to be taken. For this reason, the EK-Supremacy EVO Threadripper Edition CPU water blocks are on a fair discount for some time and the launch of three X399 monoblocks was held off until the issue with the cold plate is fixed. 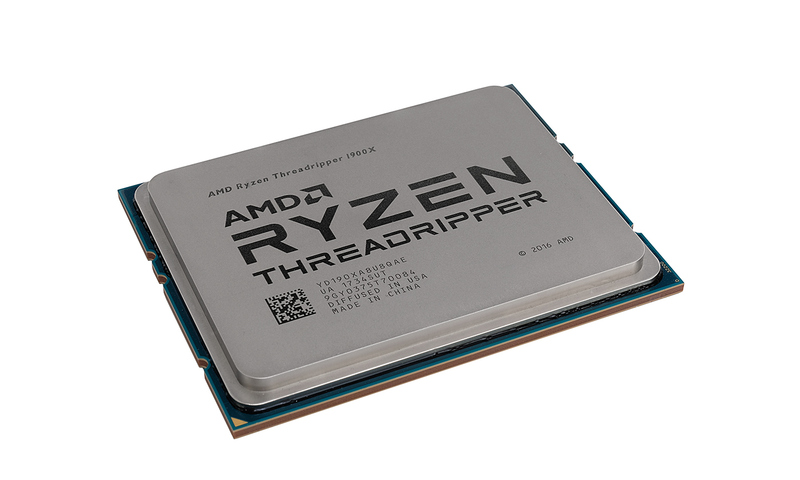 Finally, now we can try to make things right, as our engineers came up with a new cold plate, tailor-made for HEDT AMD® Ryzen™ Threadripper™ processors. 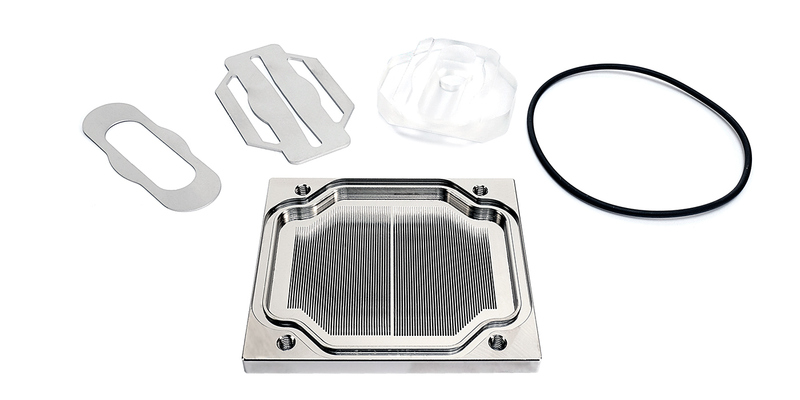 The new cold plate has a much larger fin area than the older one, and now the monoblocks can even compete against the best performing Ryzen™ Threadripper™ water blocks on the market. To set things right, everyone who purchased the EK-FB ASUS ROG ZE RGB Monoblock can apply for a free upgrade kit. 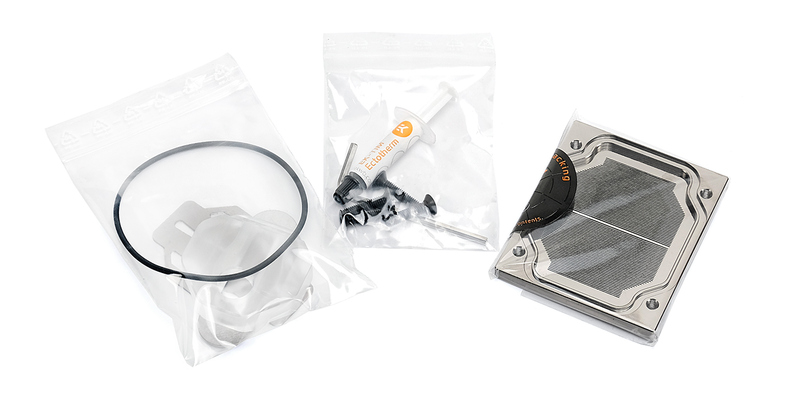 The upgrade kit with the new cold plate will contain all the necessary things needed to conduct the cold plate swap. Everyone who can provide proof of purchase of the EK-FB ASUS ROG ZE RGB Monoblock is entitled to a free upgrade kit with free delivery. All you need to do is contact EK support team at www.ekwb.com/support and arrange the upgrade kit. If you need any help with replacing the old cold plate, please contact our customer service or refer to THIS video tutorial. 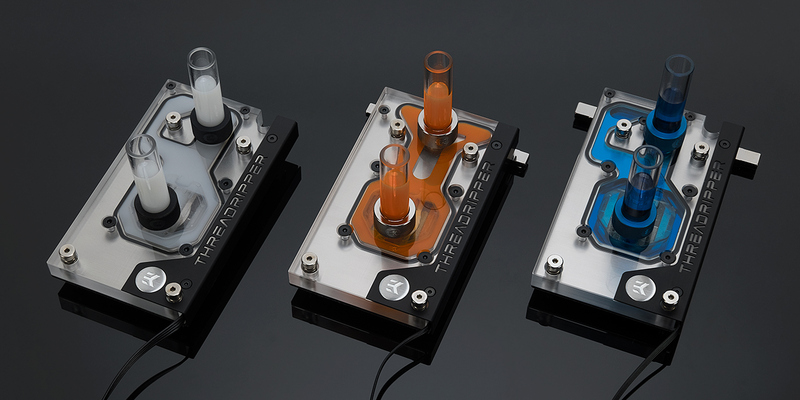 Unfortunately, the upgrade kit will not be available for EK-Supremacy EVO Threadripper Edition CPU water block, since it does not share the same mounting mechanism as the monoblock. Everyone who purchased EK-Supremacy EVO Threadripper Edition CPU water block before the 24th of November 2017 is entitled to a 25 €/$ coupon code. Everyone who can provide proof that the purchased was made before the 24th of November 2017 is entitled to the partial refund of 25 €/$ in a form of a coupon code. All you need to do is contact EK support team at www.ekwb.com/support and arrange the coupon code. 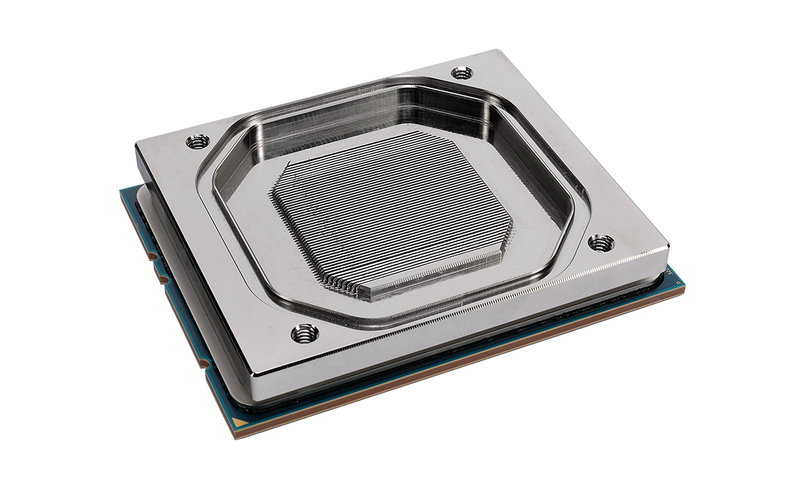 Our engineering team is hard at work with developing a new CPU water block which will be specifically designed for HEDT AMD® Ryzen™ Threadripper™ processors. We hope that the partial refund will compensate for the lack of performance of the EK-Supremacy EVO Threadripper Edition CPU water block and that you, our customers, will put your trust in our upcoming products.